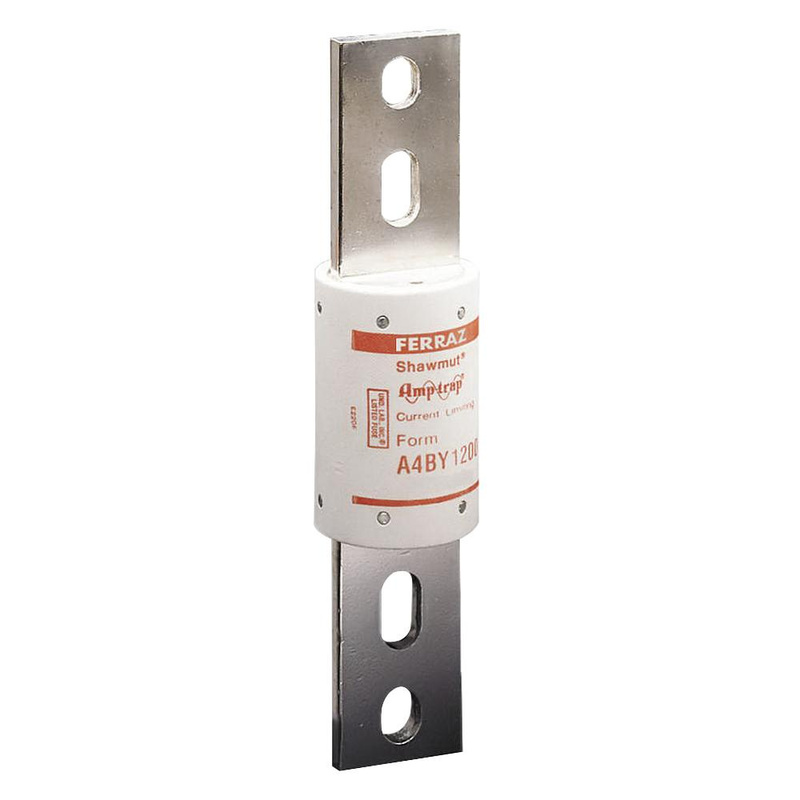 Mersen Amp-Trap® A4BY Class L Current limiting time delay fuse is rated at 2500-Amps and 600-Volt AC/300-Volt DC. Interrupt current rating of this fuse is 200-Kilo-Amps at 600-Volt AC and 100-Kilo-Amps at 300-Volt DC. Bolt-on mountable non-rejection fuse has blade terminal connection. It has dual element that provides the best time delay performance. Cylindrical fuse features GMG body and silver-plated copper contact. It is perfect for mains, feeders, circuit breakers, loadcenters, panelboards, switchboards and metering centers. Fuse is UL listed and CSA certified.